If the delivery date is to be any longer than this time you will be contacted by one of the Gem Bags sales representatives. 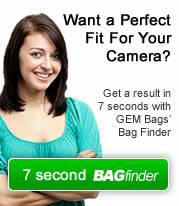 Gem Bags can ship products to an alternative address. Gem Bags is not responsible for any additional costs as a result of extended delivery times, unless prior consent is given in writing by a member of the Gem Bags staff. Gem Bags is not responsible for any additional costs as a result of a faulty product, unless prior consent is given in writing.